Radio Spectrum Management has released guidelines for permitted radio frequencies for remotely piloted aircraft systems (RPAS or ‘drones’). Some equipment may not comply with New Zealand’s radio frequency rules, and may cause interference when operating on unpermitted frequencies. The amendments improve RSM’s ability to deal with interference, and the import of prohibited and non-compliant equipment. Associated infringement offences will now be more consistent in the requirements they place on different actions, the services they protect and, the fees that apply to similar offences. A Nelson man was fined $2250 plus court costs of $130 in the Nelson District Court on 27 January 2015 for using illegal dog tracking equipment. Dean Burke had earlier pleaded guilty to using unlicensed radiocommunications equipment and hunting unlawfully, after being found hunting in Pearse Valley, south of Motueka on 5 August 2014. Dog-tracking equipment that was designed for the US market is likely to use the 151-154 MHz range, which is the wrong radio frequency for New Zealand. Read the full announcement on the MBIE website. Read more about recent convictions. On Wednesday 26 November 2014, Wim Zwart, Technical Officer and Deputy Registrar with RSM retired after 44 years’ service with MBIE and its predecessor agencies. Wim started work as a radio technician with the NZ Post Office in February 1971. He spent a summer season as a radio technician at Scott Base in the Antarctic when in the Post Office. There he helped maintain radio communications with New Zealand during the Erebus disaster. During his career, Wim held various roles, including managing the Radio Standards Testing laboratory in Lower Hutt. He also led a project to the Tokelau Islands to build a new FMBC radio station on each of the three islands. For this he received a Ministry of Economic Development CEO’s award. More recently Wim engineered the complete reallocation of the FMBC Broadcast band in New Zealand. 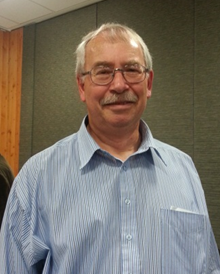 RSM and the industry wish Wim a long and happy retirement after four decades in the radiocommunications field.